Who are the Global Voices?  The Global Engagement Forum: Live will host 13 experts from the field on behalf of sponsors who are dedicated to advancing solutions and understanding barriers to the four solvable problems: Reducing Post-Harvest Loss, Ending Energy Poverty, Eliminating Marine Debris, and Closing the Skills Gap in STEM. For this contribution we thank SAP, IBM, and the United States African Development Foundation (USADF), for hosting one or more of the following voices from around the globe. The global voices will travel to Washington, D.C. for the two-day Forum and contribute their field expertise and perspective to their respective focus tracks. Carolyne is a computer scientist and the founder of Apps & Girls, an award-winning social enterprise that works to bridge the tech gender gap in Tanzania. Apps & Girls gives girls the skills, tools, confidence and competitive edge to become effective tech-entrepreneurs. Under Carolyne’s leadership, Apps & Girls has empowered over 2,000 girls with ICT and coding skills across 24 school coding clubs. Currently, 23 of the girls’ tech ideas are being implemented and 4 of them have received project funding. Carolyne is committed to breaking the barriers for women to enter ICT, a field with a non-existent support system, lack of role models and prevailing gender stereotypes. Apps & Girls is providing the alternative, a supportive path into the field of ICT and a future in tech. Fábio Cezar Aidar Beneduce is an energy specialist and general coordinator of the Technological Advanced Vocational Institute (ITEVA). He has been working with renewable energies since the end of the 1970s, and is involved in research and activities related to social and environmental sustainability. Regarding the professional training, employability and entrepreneurship, he is one of the main mentors of the programs developed at ITEVA, which train young people from public education, organizing them into productive processes and enabling the formation of social enterprises based on technology. 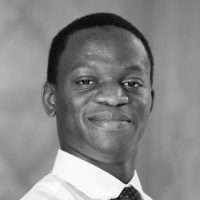 Francis, is currently the Country Ambassador for SAP’s flagship coding program, Africa Code Week in Ghana. He is also currently working on a new project with girls in Accra’s biggest slum through a program called Female in Tech Initiative (FeMiTI) to introduce 200 girls to digital literacy, programming and robotics to transform the lives of these girl from under-privilege communities. 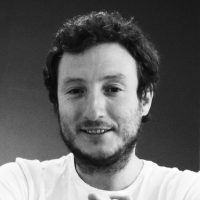 Ignacio is the Founder and Executive Director of Socialab, the largest network of problem solvers in Latin America. He is a specialist in creativity, administration and management of companies, with experience in research, consulting and projects of social innovation, CSR and sustainability, for recognized companies in Colombia and international organizations. He is a mentor and business consultant with a social and business-focused approach. Ignacio is also an exhibitor in different inspirational and entrepreneurial events such as TEDx and Campus Party. 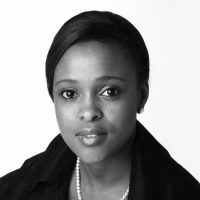 Morwesi is an impact entrepreneur with a passion for advancing access-to-energy as a solution to the energy poverty problem. She has extensive experience in renewable energy as a developer of solar energy projects and solar solutions. She has developed and implemented commercial and rural rooftop solar energy projects that are both grid connected and off-grid, installed solar street lights in many dark communities and informal settlements and innovated solar based solutions for child headed homes. 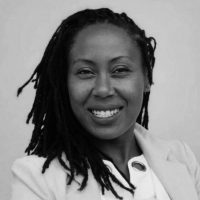 She is the Chief Commercial Officer of the Sun Exchange, an award winning Blockchain platform that provides specialist Solar Energy Funding. The Sun Exchange has successfully funded over 5 Commercial & Industrial projects through crowdsourcing funds from individuals all over the world who now own solar panels in Africa for a return. Through her social impact project called Watt-A-Woman, she aspires to realize the inclusion of women in the solar eco-system. The project offers energy services while generating an income for rural women. With his experience in media, graphic design and printing combined with a deep passion for innovation and creativity, Nazeem Junggee launched Nineteen Fifty Design & Print Co Ltd. in 2010. The company specialized in advertising and large format digital printing. After a couple years, realizing that he was in a highly polluting industry, he worked on an innovative solution to reduce the impact outdoor advertising had on the environment. With a grant funding from the U.S. African Development Foundation (USADF), he developed ‘SAKILI’, the brand name for unique and heavy-duty bags made from discarded advertising banners and billboards. His company now turns advertising waste into want. 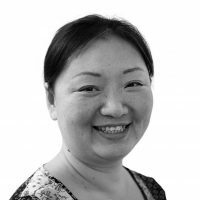 Zhen Chen is the China Program Lead for PYXERA Global, and has over 20 years of international business and project management experience. A native of Chengdu, Zhen headed the Chengdu Chamber Office of the European Chamber of Commerce in China for three years. She also played an active role in lobbying and networking for foreign-invested enterprises with the Chengdu municipal and Sichuan provincial government agencies. With a strong local network, she is familiar with local business communities, educational institutes, NGOs, and government entities. Her expertise extends to the growing role of CSR in major Chinese businesses and she now works to facilitate business cooperation between Chinese and foreign companies. George is passionate about optimizing trade between businesses in Africa. 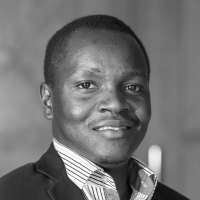 Through his work, George is developing a solution that reduces waste of agricultural products through building market and financial access infrastructure for micro, small and medium enterprises. He founded Patasente, an online supply chain platform that enables businesses to undertake electronic procurement, settle payments and secure financing. The platform currently has 1600 micro, small and medium businesses, most of them being in the dairy and grain value chains. It has generated orders worth $ 3.2m and factored invoices worth $ 0.58m. Prior to this, George co-founded companies like Unreasonable EastAfrica, Angels Initiatives – all business development companies investing in start-ups building impactful solutions in Uganda and on the African continent. 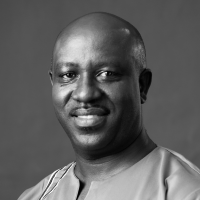 Lekan Tobe is an agriculture and rural development specialist with over 24 years of experience working with smallholder farmers across Nigeria to improve their livelihoods through capacity development in agribusiness, financial education, and agricultural production best practices. He now works with PYXERA Global as the Deputy Project Director for The Rockefeller Foundation’s YieldWise tomato value chain project. Prior to this engagement, he worked with Mercy Corps Nigeria as the income generation Team Lead for the Catholic Relief Services (CRS) – Feed the Future Nigeria Livelihoods project where he managed USD$1m innovation fund and led private sector engagement, financial inclusion activities, and development of small rural and agricultural businesses. During Neil’s seven years as Chief Executive, the Social Enterprise Academy has become the largest Institute of Leadership & Management (ILM) Centre in Scotland, annually supporting around 1,200 people to develop their leadership and entrepreneurship skills. The Academy now has centers in Australia and South Africa as well. In 2011, the Academy received the highest rating ever of any organization in Scotland’s third sector by Her Majesty’s Inspector of Education. The following year, Neil won Ernst & Young’s prestigious Entrepreneur of the Year Award in the Social Enterprise category. 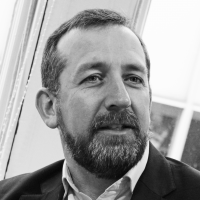 His early career was in the private sector for 15 years where he co-founded and was Managing Director of an IT consulting firm based in Brighton. He worked closely with large corporate clients such as American Express and British Aerospace. Neil has an MBA from Stirling University where he developed the idea for a social enterprise he founded in 2004. With support from Scotland Unlimited, the social enterprise Quit&Save supports people to quit smoking using peer learning principles. 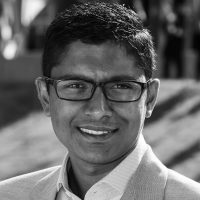 Shakti Saran is a Senior Fellow with PYXERA Global based in Mumbai, India. He is a thought leader on creating shared value between the private, social, and public sectors and a subject matter expert on financial inclusion and financial literacy. He is responsible for incubating a Center for Citizen Diplomacy in India and advising internal teams across the globe on scoping inclusive finance in various offerings. Additionally, he has responsibility for coordinating and managing pro bono consulting teams. 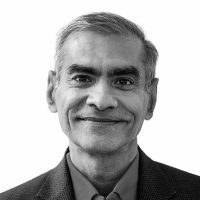 Prior to PYXERA Global, Shakti worked with the corporate sector for over three decades, the latter half of which was spent at IBM from where he emerged as a Corporate Service Corps (CSC) alum. Since 2011 he has supported the V Care Foundation, a Mumbai-based cancer care NGO, and has been inducted onto its Board of Trustees. His smooth crossover to the impact sector took place after attending the inaugural cohort of the India Leaders for Social Sector (ILSS) program. Andrew is an architect and urban planner with a wealth of construction experience from across the globe. 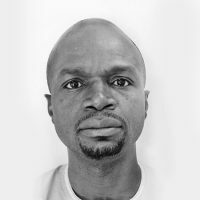 He has worked with various local communities from Johannesburg’s townships, and slums in Kampala to the downtown quarters of Vancouver. He has won multiple global awards for the impact of his work including Architecture for Humanity, and Holcim Award for Sustainable Architecture. He founded and runs an urban development program and architecture practice in East Africa that focus on engaging families in developing low-cost sustainable, climate-smart homes and shelter solutions. Andrew desires to see a world where low-income families can also live in climate resilient, energy-efficient houses. Andrew is currently piloting an award winning, innovative teaching method that utilizes local culture to demystify the relevance of mathematics to disadvantaged rural-based, children/students. 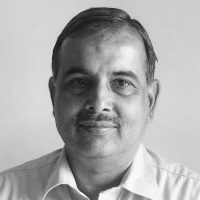 Virendar Khatana is working as Project Director for the Joint Initiative for Village Advancement (JIVA), a multi-year community development project funded by the John Deere Foundation and implemented by PYXERA Global in rural Rajasthan, India. Within JIVA, he plays a catalytic role that stimulates the team to scout, co-generate, and test innovative ideas and realign the program strategy to accelerate steps towards JIVA’s goal of improving the lives of the people in its project villages. The resulting leanings from these activities serve to evolve models for scaling-up. He has over 20 years of experience in designing, implementing, and evaluating projects, mainly related to participatory community development, sustainable agriculture, and poverty and vulnerability issues, especially in remote, rural and conflict-affected areas.